Conflict management. Within any organization, conflict will happen at some point. But if arguments are frequent, they can derail the organization's progress. Students learned ways to avoid and mitigate conflicts to keep their organizations moving forward. Appreciating different personalities. While every member of a group brings a unique skill set, they also bring unique personality traits. Students learned how to recognize the ways that each personality adds to the group dynamic, and how to help team members work together despite their differences. Communication. Great leaders are also great communicators -- confident, clear, and concise. Students were trained in best practices for communication that will help them be more effective in leadership positions. Teamwork and group dynamics. Whether you like group work or not, it's not something that can be avoided in professional settings, especially when you're in charge of a team! Students learned how to keep their teams productive, focused, and happy. Ethical leadership. Being a leader comes with great responsibility. Those that you lead rely on your guidance and judgment. A great leader stays true to their own morals and stands up for what is right for their employees, their organization, and the greater community. Students engaged in an open discussion facilitated by Peirce faculty members and learned how to apply ethics in their everyday lives, from the classroom to the workplace and their communities. As another leadership exercise, the participants ran a community service project on behalf of Peirce. They planned and executed a campaign called Attire for Hire, which collected new or gently used business clothing and then donated them to those in need. Learning to be an effective leader is a lifelong process. Next fall, our student leader alums will return to Peirce to host a leadership forum for their peers. The best leaders never stop learning and adapting, so they will share tips and strategies for how to continue to grow and improve as you apply your leadership skills, whether by taking on a management position or joining the board of an organization. 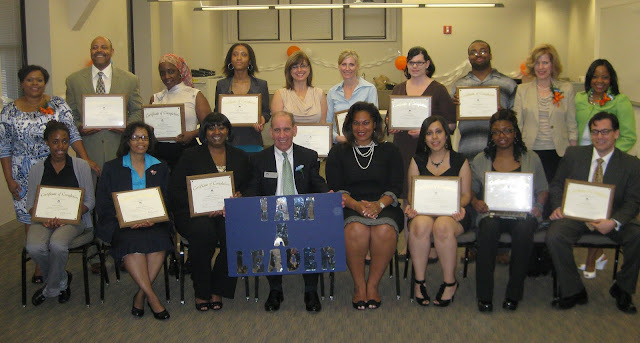 Peirce College provides our students and graduates with many tools that will help them reach their goals. Strong academics, interpersonal skills, professional experience, and the ability to lead are all important traits of well-rounded individuals. When Peirce grads enter the workforce, we want them to have all the tools they might need to become good leaders in their community and in their careers.